Oklahoma Connection | Maney settled near El Reno, Oklahoma, in August of 1889. 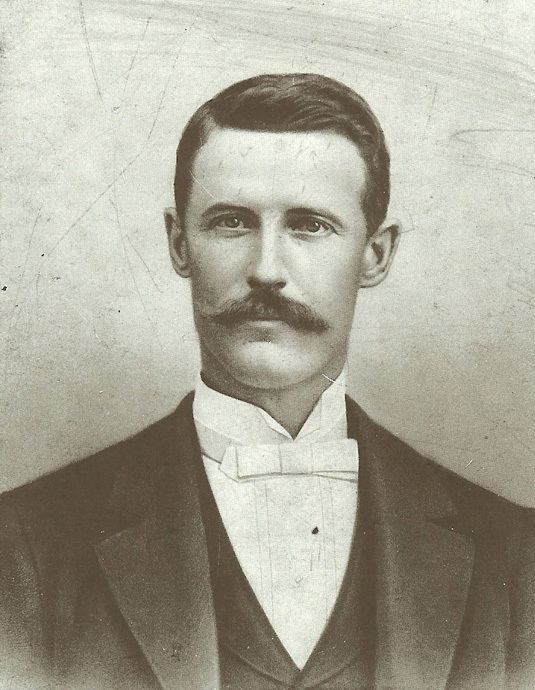 James Maney was well-known as a civil engineer and “practical” railroad builder and is distinguished as having built only the second railroad into Oklahoma in the late spring of 1889. James William Maney was born in Pennsylvania and completed his degree at a college in Red Oak, Iowa, before accepting his first position as a civil engineer with the Union Pacific Railway. At the age of twenty two, he went into the contracting business and established the Chicago and Northwest Railroad into the unsettled Black Hills country of South Dakota. When Oklahoma opened for settlement in April of 1889, Maney built the second railroad into the territory and settled near El Reno, Oklahoma, in August of that same year. In 1910 he promoted the building of the El Reno Interurban Electric Line between El Reno and Oklahoma City and purchased controlling interest in the railway between Clinton and western Oklahoma in 1912. Also active in the mill and grain business, he served as president of several milling companies including Weatherford Milling, Canadian Mill and Elevator Company, Enid Milling, and Maney Export. Tuesday - Friday: 9 a.m. to 5 p.m.
Closed on July 4th and Thanksgiving Day. We will also be closed December 24, 2018 through January 1, 2019. We will resume normal hours January 2, 2019.